Unlike the 90s where it seemed as if the best scorer on most teams was a center, or low-post player, the best scorers in today’s game roam the perimeter. But there are different facets to being a good scorer. One of the topics that has gotten alot of talk over the last handful of years is the concept of being a “versatile scorer”, meaning possessing the ability to score in a multitude of ways. When a guy is a versatile scorer, it makes him nearly impossible to defend because if you throw a big on him, he’s quick enough to get around him. Conversely, if you throw a smaller guard on him, he can use his height to shoot over them. With all of that said, here are my top 5 most versatile scorers in the NBA today. 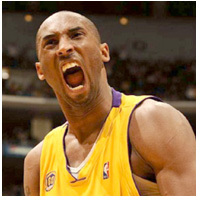 I’m one of the few people remaining who think that Kobe is still a top talent in the NBA. In fact, part of me feels like he’s still the best player in the NBA. I have long since thought that his demise has been greatly exaggerated. He still comfortably averages north of 25 points per game and is still the undisputed king of knocking down impossible, “bad-shots”. Has he lost a step? Perhaps, but he’s 33 and this is his 16th year in the NBA so you’d expect it. But it’s nowhere near what many would like you to believe. He’s one of the best post players in the game, he can shoot the three and still has the ability to beat you off the dribble. 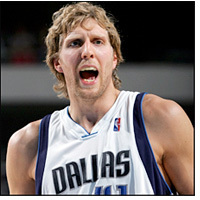 I have always thought Dirk to be the most uniquely gifted offensive player the NBA has ever seen. He’s a legit 7-footer who is more comfortable with the ball in his hands 18 feet away from the basket than on the block. When he’s standing at the 3-point line in a three-point stance, what are you going to do about that? He does his best work away from the rim but can also put the ball on the floor and operate from the post as well. 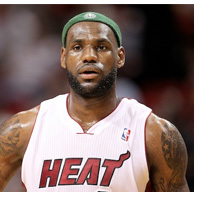 I would make the argument that LeBron is the fastest player in the NBA with the ball in his hands. Just the other day, I saw LeBron out run Rondo on a fast break while he was dribbling and Rajon chasing him. That speed translates to his ball handling in the halfcourt set as well. He can get around just about anybody. He has significantly dialed back on his 3-point attempts this year but can still knock them down when needed. But above all, his speed and size allows him to get off a decent shot whenever he chooses. KD is the two-time defending scoring champ and he should finish in the top 2 for most of his career. 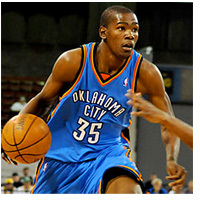 I have always thought that he shoots too many 3s but to his credit, he can knock them down. Because of his length, there’s really nothing you can do to slow him down. The only person that can slow down KD is KD. One misconception in basketball is that you need to be very athletic in order to succeed. Carmelo Anthony disproves that theory. ‘Melo isn’t necessarily blessed with tremendous athleticism. He doesn’t run very fast or jump out the gym. But let me tell you, he can fill it up like nobody’s business. 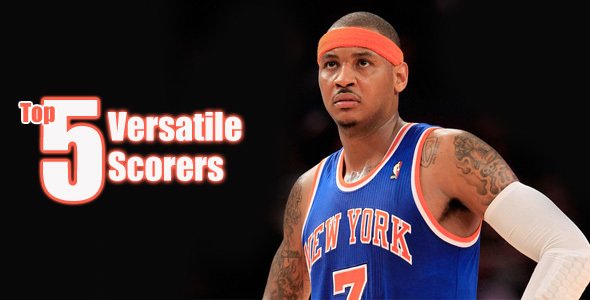 Looking at ‘Melo ostensibly, you wouldn’t think he’s as fundamentally sound as he is. His offensive game is extremely textbook. 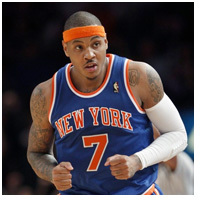 In fact, I truly feel that basketball camps should show videos of Carmelo on offense. He has great form on his shot, can shoot the 3 and can operate from the post. He’s deceptively strong as well. But what I respect most in ‘Melo’s game is when he has the ball about 15-18 feet from the basket, facing the rim, before he has dribbled. Then, he usually puts on a series of moves that’s tough to teach. His jab-step is world-class and always does just enough to get off a good shot while using basketball instincts, not raw athletic talent.